We’re not strangers to possums here in Australia, in fact we have three different types – two species of Brushtail Possum and the Ringtail Possum. The Common Brushtail Possum is the one we’re most likely to cross paths with, since it is readily adapted to urban life. Possums are nocturnal and are most active during our sleeping hours. When possums live in your roof they may damage insulation, chew electrical wiring or contaminate with the area with their urine and faeces. A possum can also make a hell of a racket especially with their friends and family! Possums may look cute and cuddly, however they have been known to keep you awake at night, damage ceiling insulation, cause structural damage, chew electrical wiring and urinate & defecate in your ceiling. Call Jim’s Termite & Pest Control now and we’ll work with you to control your Possum Problem – Guaranteed! Catching & Releasing – Possums are territorial and if caught can only be released within 50 metres of the structure. Unless you address the problem in the structure and fix the entry point the Possums can quickly return. Inspections – Jim’s Termite & Pest Control are dedicated to providing an eco-friendly possum removal service, including inspecting your home for entry points, ensuring all possums are removed and repairing your building back to its original condition. Possum Proofing – If we catch possums, we hold them for a period of 24 hours while the possum-proofing is carried out. We are then legally obliged to release the possum within 50 meters of the property. We find that because of the experience of being trapped and held (we feed them well and look after them), the possum is likely to try go back to the roof void. And especially so, when they find their entrance point has been sealed up. Typically, we release the possums again after dark within 50 meters of the property they were captured at. 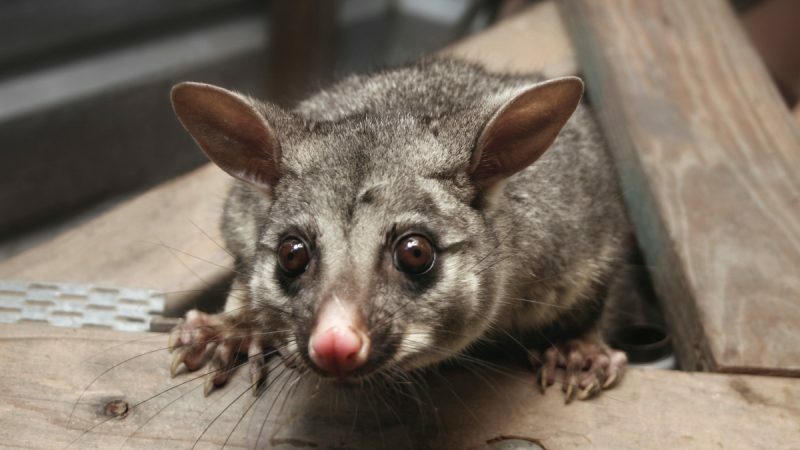 Another Alternative – Instead of first capturing the possums, some Jim’s Pest Technicians can also offer and explore the use of one way doors, where the possum can exit, but can not re enter the roof void. Please ensure your house roof, eves and facias are well maintained. Ensure that any gaps are quickly and professionally repaired. We would rather they not get into your ceiling in the first place.